If you’re going to launch a book, you need to build a following—a tribe of readers who are interested in your work. They will be the people who will eventually buy your book! And one of the best ways to do that is to collect email addresses on your website. Email is still one of the best–and most reliable–ways to communicate with readers, and if you do it right, it can lead to book sales! The key is to make sure your offer is compelling, and that it feels very valuable to your audience. It should actually feel a little uncomfortable to you to give away “that much” for just an email address. But remember, an email subscriber is a customer for life! Once you get these two things, you can start designing your opt-in and get to work putting it up on your website. Time-Delay: These are forms that appear on the screen after a visitor has either been on the site for a certain period of time or scrolled a certain distance on a page. These generally pop up in one corner of the screen, or right in the middle. While maybe slightly annoying, these are BY FAR the most effective opt-ins in terms of conversion percentage. Button Triggered Pop-Ups: You can set up your email opt-in so it appears only when someone clicks a button. These are an elegant addition to your site and allow you to hide your form until someone clicks the button, which many people prefer from an aesthetic point of view. Embedded Forms: These are forms that sit within the content of your site. My favorite place for these are in the sidebar to your blog, but they could be anywhere else you’d like them to be. TIP: Here’s an example of a give-away form embedded in the sidebar of an author’s blog. Set up a time-delayed opt-in across your whole site so that no visitor will miss the opportunity to subscribe. Make sure you adjust the settings so that once someone either opts-in or closes the box, it doesn’t reappear. Put a form in your blog’s sidebar, right at the top. Your blog should be one of the most highly trafficked areas of your site, and you want to make sure that all your readers have the opportunity to subscribe. On your book pages, offer a free excerpt button. This allows potential readers to get a sneak peek while giving you their email address so you can follow up. A “drip” campaign of introductory emails that are automatically sent to your subscribers over a predetermined period of time. 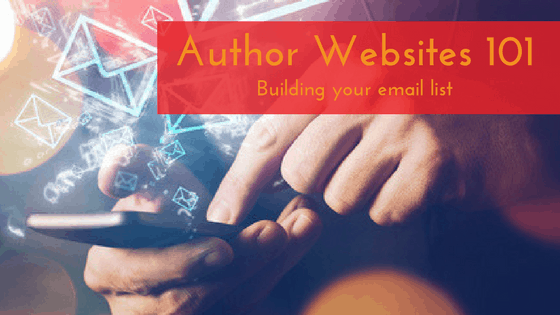 Most ESPs offer this functionality, often called “Autoresponder.” This is your chance to introduce yourself to your new subscribers, tell them about the various aspects of your work, share your books and other writings, etc. Don’t just “sell” with these emails! Give people things like video or audio interviews you’ve done, or particularly interesting blog posts. Make your content valuable so people keep opening—and reading—your emails. Regular communications. I consciously avoided calling this “newsletter” because newsletters are boring. You can send people regular updates or insights, but don’t call it a newsletter. Share your latest blog post or a successful review or interview. And use a subject line that speaks to the topic you’re sharing. Don’t just say “The Latest News from Me.” Make sure you choose a frequency (weekly, every other weekly, or monthly) that you can handle, and then stick to it. I hope you’ve found this useful! If you have questions about any of this, please feel free to post a comment, shoot me an email (joel@launchmybook.com), or give me a call (510.684.2645). 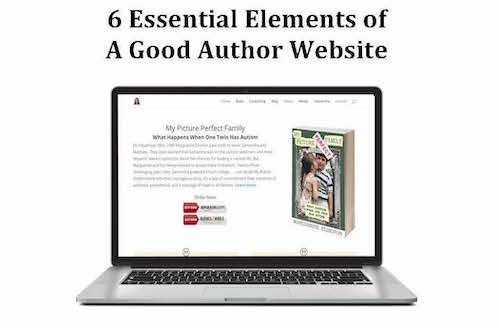 Enter your email and get my tips for creating a beautiful and effective author website! Enter your email address here and we'll get back to you shortly about our author website services. You can also email us directly at joel@launchmybook.com or call us at 510.684.2645. We'll be in touch shortly. For an immediate response, call 510.684.2645. Enter your email address here and we'll get back to you shortly about our author social media services. You can also email us directly at joel@launchmybook.com or call us at 510.684.2645. 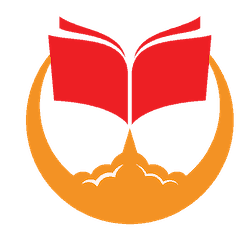 Enter your email address here and we'll get back to you shortly about our book launch services. You can also email us directly at joel@launchmybook.com or call us at 510.684.2645.